Best price new Nissan – get maximum discount on any brand new Nissan without having to shop around or negotiate yourself. Choose any new Nissan and the exact options you want. 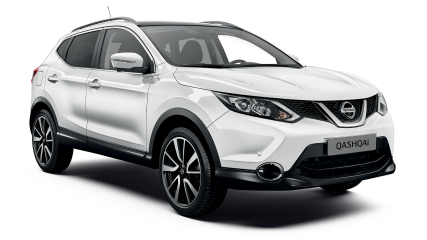 Be it the new Nissan 370Z, GT-R, Juke, Qashqai, X-Trail, Pathfinder, Patrol or Navara – Any New Car will ensure you have the opportunity to buy a new Nissan at the very best price. Buying a new Nissan with the help of Any New Car means getting the best price, and the highest level of service without you having to engage salespeople in the negotiation process. Can You Help With Trade-ins? Yes. We’ll also ensure that you achieve the highest possible price for any car (or cars) you intend trading in as part of any new car purchase. That’s whether you are buying a new Nissan or any new car. Yes. Whether you’re a private buyer, a small company or you run a large fleet of vehicles, Any New Car guarantees you the best deal on any new Nissan model. In fact, any new car. We’ve forged alliances with Australia’s leading Nissan dealers and Fleet Management Operations – this means you’ll enjoy the best price, and the highest level of service when pricing and buying a new Nissan with the help of Any New Car. Over the years, Nissan has been one of Australia’s most popular Japanese car makers. The Datsun Phaeton was the first Nissan Australia enjoyed. That was back in 1934. Nissan has a reputation for excellence in engineering and is probably most famous for its 200SX, 300ZX, the 350Z models. Australia has also taken strongly to Nissan’s off-road offerings in the Nissan Navara, and of course the legendary Nissan Patrol. The Nissan new car range offers Australian new car buyers a wide choice, both in terms of variety of models, and price. From the Juke, Qashqai, 370Z and GTR through to the Nissan Pathfinder, Navara, Patrol models there’s definitely a broad spectrum of appeal. Best price new Nissan? It all starts here. Any New Car is here to save you time and money buying a new Nissan through a Nissan dealer close to you. Have you decided on the new Nissan model you’re buying? If so, Any New Car is set to secure you the maximum discount on the Nissan model you’ve chosen. Our unmatched new car broker service ensures that you’ll get the lowest drive-away price on any new car. Our network of Nissan contacts across Australia are always at the ready to win the business we can continually deliver to them. This means you’ll always get the best price on a new Nissan with Any New Car.